What is e-commerce, and why is it important? 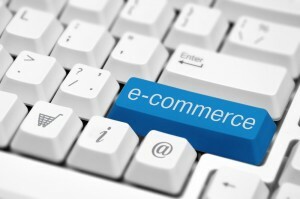 E-commerce, or electric commerce as it is less commonly known, is the practice of buying and selling products online. Put simply, e-commerce is the method that both sellers and consumers use to be able to make a transaction without having to worry about time or distance, explains 1&1. In short, any business that wants to succeed in both the physical and online world can (and will) benefit greatly from e-commerce. Think of it this way- would you rather have to drive to the store to buy a new pair of shoes, or go to the store’s website and order them quickly online? This is what makes e-commerce so beneficial; it’s the ease of comfort for both buyer and seller. Setting up an e-commerce website is actually quite easy. All you need is a basic layout, a shopping cart (which you can access free of charge for a basic design or you can pay a service to provide it for you- Paypal is common type of shopping cart), and a secure method of accepting credit cards or debit cards. In using a trusted site like Paypal, you can eliminate many obstacles to setting up an e-commerce website. Or, you can choose to pay an outside company to allow you to take various credit or debit cards for a fee. Just be careful of what these types of fees may be; often they are simply monthly fees for the service, but some companies charge a percentage every time you accept a credit card online, which can eat into your overall profits. Make sure customers can view their shopping cart at all times, and have easy access to the prices you post online. You want to make sure that the checkout process doesn’t require more than a few moments of your customer’s time, and that they can easily edit or cancel their purchases before their checkout is complete if they so choose. If you want to add a small bit of flair to your e-commerce website and really boost your sales, post suggested items to buy based on what your customers are currently looking at. Amazon is well-known for using this tactic, and it doesn’t hurt to follow the advice of the largest e-commerce community on the Internet. Your e-commerce website doesn’t have to be elaborate, so don’t bite off more than you can chew. If you can easily navigate your website and it looks like your products are being promoted well (it helps to hire a content writer to create your descriptions for you), then you don’t have to worry about anything else. Remember, this website is designed to help boost your sales without weighing you down, so don’t try to tackle anything you can’t figure out on your own. You can even use simple website design templates to guide you so you don’t get off track. Joining the e-commerce world is a great way to help you get better sales, boost your business, and help you build a stronger customer base. All you need is a super simple e-commerce website to help you get started, and your customers will appreciate the new ease of shopping they can experience with your company. E-commerce is a total win-win for everyone, and you will notice the benefits right away.